Dental implants refer to artificial roots made of titanium metal. These are placed into the patient’s jawbone for optimal functionality. The implants act as mounts for prospective replacement teeth. In general, dental implants offer support to the patient’s new teeth. These are used to ensure bridges/dentures stay in place. Dental implants offer a comprehensive solution by providing a sturdier base. This helps maintain a patient’s natural bite. It’s important to note a pre-examination is required to determine if a patient is eligible for dental implants. This assessment includes a comprehensive health examination to determine potential systemic conditions. These conditions may reduce the dental implant’s success rate. Patients are asked to speak with their dentist to seek further assistance. What is required to qualify for modern-day dental implants? If all boxes are checked, a patient may be suitable for this procedure and can move forward with it. If not, patients are guided towards preliminary treatment(s) before getting their dental implants put in. Dental costs are dependent on the number of implants, type of implant, and the patient’s dental history. Until these details are confirmed, a set cost cannot be determined. However, average costs suggest the price sits at $2000-$4000 per tooth. While setting a budget, patients are asked to recognize the presence of extra costs (x-rays, materials, and more). These are added to the set cost of dental implants. The procedure begins with an in-depth examination of one’s teeth. This includes the jaw, head, and surrounding areas. Please note, a bridge cannot be prepared if it’s the last tooth in the arch. To make a bridge, an anchor is required in on both sides of the missing tooth. A personalized strategy is constructed based on the patient’s x-rays. This includes where the implant will be placed and how it will be situated into the jawbone. The first stage of surgery emphasizes the placement of a dental implant directly into the jawbone (under gum tissue). For cases with multiple missing teeth, a bridge is designed along with the implants. Once secure, the tissue is stitched into place. The goal is to ensure a patient’s gum tissue heals on top of the implant. The next stage is the longest one. It requires letting the gum tissue heal for at least 2-3 months (this may vary depending on how quickly the patient recovers). More importantly this period includes waiting for osteointegration of the implant. The dentist will continue to analyze how the gum tissue is healing and make adjustments (if necessary). In most cases, the gum tissue will heal rapidly and efficiently. Please note, the healing period will vary from patient to patient. This is dependent on the patient’s inflammatory response. The dentist takes all necessary precautions to determine whether or not the tissue has healed as required. If the gum tissue has healed, a specialist will attach an abutment to the dental implant. This abutment (metal post) is used to connect the crown with its accompanying implant. Some specialists prefer doing both stage 1 (placement of implant) and stage 2 (insertion of abutment) together. This isn’t guaranteed and will vary depending on the patient’s case. The dentist will now create a correctly sized replacement tooth and attach it to the abutment. The replacement tooth is analyzed over the course of multiple appointments to see how it responds to eating, speaking, and general jaw movements. Continuous adjustments are made if necessary. Dental implants are ideal because they’re natural looking and fit snugly with the remaining teeth. This natural appearance is beneficial for patients wanting a perfectly sound solution. Will these implants cause pain while biting into an apple? No, they will not cause pain. Dental implants are sturdy as long as a trained dentist completes the procedure. The abutment holds the tooth into place and will manage well in all situations. This is what makes it a convenient fit for patients with missing or broken teeth. There’s nothing more important than the appearance of one’s teeth and how they look with the rest of your smile. Patients seeking dental implants want a well-rounded, beautiful smile and it begins with quality implants. Specialists recommend dental implants because they’re strikingly attractive. For more information on dental implants, the procedure, or their benefits, please feel free to speak with a specialist. 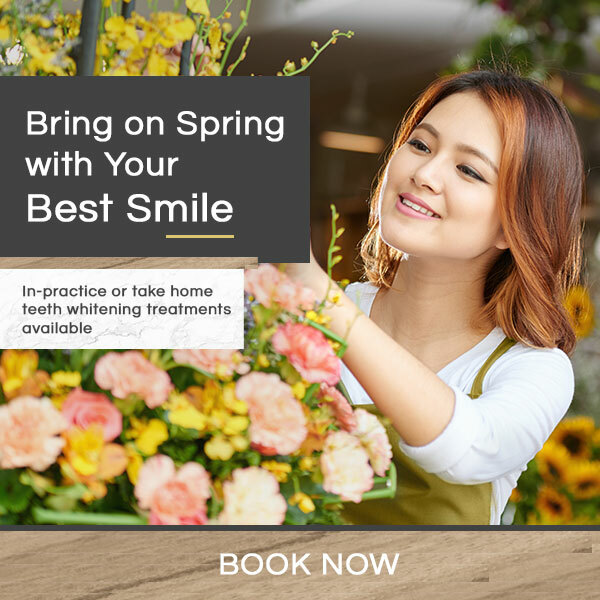 Patients are welcome to book a consultation and begin their road to a beautiful, charismatic smile. Adjacent teeth are not reduced while preparing a bridge. This preserves their structural integrity and increases their longevity. Patients do not have to worry about cavities on their implants. Implants also minimize the amount of bone loss in comparison to no implants.